Cutler really picked on CB Steve Williams on that drive; hits Martellus for a 1-yard score to bring the Bears within 13-7. Jason Verrett with the Chargers first pick-six since 2013. The Chargers had three fumble recoveries for a TD last year but no INTs. Jason Verrett with the 68-yard Pick 6! #Chargers miss the extra point, take 13-0 lead. Cutler is looking as dire as ever on that sideline. Dontrelle Inman fumbles after the catch. Bears ball on Chargers 41. 10:51 to go in the 2nd. With Malcom Floyd out, favoring his left arm, Chargers have three WRs available. One is Javontee Herndon, making NFL debut. Floyd with a shoulder injury, questionable to return. 10-yard punt return by the Bears is 10x the Chargers season total. Floyd up and walking to the sideline. Trainer holding his right arm. Malcom Floyd goes down clutching his shoulder. #Chargers don't need any more injuries. So Eric Weddle has played 16 snaps. Eight tackles. And a fumble recovery -- the #Chargers first takeaway in four games. Melvin Ingram with the forced fumble and sack on Cutler. 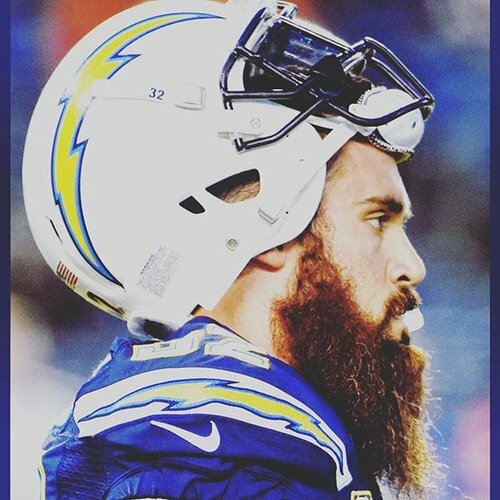 Eric Weddle recovers. Chargers ball! Jeremy Langford might be the real deal. Wow. Nice design by McCoy/Reich. Woodhead offset to the left of Rivers who crossed the formation and was lost in coverage by #Bears ILB. Danny Woodhead could not have been more wide open. Chargers TD! An illegal formation wipes out a Melvin Gordon sighting. Robbie Gould misses a 47-yarder after the Bears moved down the field with the ease of George Clooney at an Oscar after-party. Cutler looked awfully surprised that there was no pass rush around him. 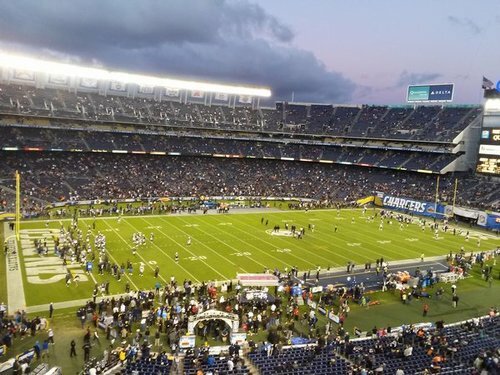 #Chargers inactives: Ladarius Green, King Dunlap, Orlando Franklin, Corey Liuget, Manti Te'o, Darrell Stuckey and Denzel Perryman. #BoltsBrownBag takes bye week next Monday unless something major happens. Stay tuned. Correction: @John_Gennaro softens to a D for the special teams. @BenHigginsSD is rubbing off. Unity! BOTH @BenHigginsSD and @John_Gennaro give the #Chargers special teams an F. #BoltsBrownBag "You and I have outgained him by 4 yds"
"Outside of those 2 guys..." says @John_Gennaro as he gives the O-line a D.
For the O-line, @BenHigginsSD goes for a B: With Rivers dropping back that much...it could have been so much worse. "I understand going for it, I do. But I'm always looking at the big picture." @John_Gennaro explaining why he wants some high draft picks.